Hallmark Care Homes has won the prestigious Pinders Healthcare Design Award for ‘Best New Care Home’ from 2010-2015, but what makes our homes so special and different to the rest? 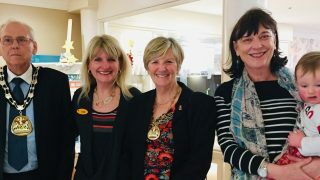 We caught up with Hallmark Care Homes Head of Land and Development, and Judge at this year’s Pinders Awards Sue Earrey, to find out what differentiates Hallmark Care Homes’ developments from other care providers and what impressed her during the judging of this year’s awards. Tell us a bit about your personal history and how did you come to work at Hallmark? I came late into the industry in land acquisition and joined Hallmark eight years ago to work with them to grow the number of sites that they had for development. Since day one, I have been instrumental in seeing all of our projects all of the way through. What category did you judge at this year’s Pinders Healthcare Design Awards and what did you look for in the finalists? 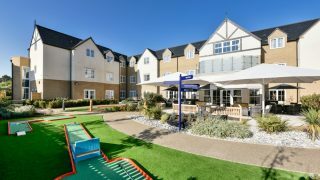 This year I was the judge for the Budget Award of the Extra Care category, where I viewed three exciting developments. This particular category looks at how the finalists had captured the initial concept of catering for their residents and the lifestyles of their residents within budget. Most of the developments were rented, so the apartments were rented within these facilities and two of the developments were aimed at the social housing sector. How did you judge this category and what impressed you during the judging for this year’s awards? We don’t get to see all of the entries. By the time we are invited to be judges and this is my third year being a judge, we are given three finalists. 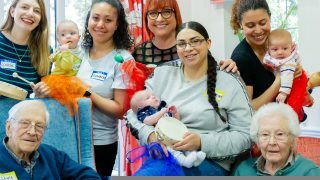 We go visit each of the three developments and Pinders make an award to each of these as a finalist and hand over a cheque for £500 to a charity of their choice. The finalists don’t know the overall winner of the category however, until the day of the awards. What impressed me the most this year, was that the finalists were three very diverse schemes each catering for their own individual markets in very different locations. 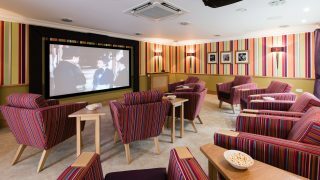 What changes have you seen in care home design over the last few years? 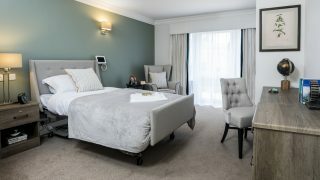 Everyone’s striving towards to their next unique selling point and I think the industry has recalibrated really on what it is best for the resident in terms of spacial standards and facilities within care homes. 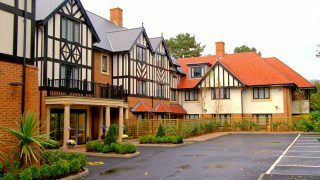 What is your approach to care home development? Its best fit for the site is always the main focus. My next focus is on the beauty of the building. I have a passion for traditional style buildings usually in traditional forms of architecture. I try to reflect the history of our towns and environments in the new builds, drawing on Victorian and Tudor style buildings. It’s then our space for the residents and thinking about what this room would be like for me to use when I go into a care home? What would I want? How can I improve it? What’s the experience going to be? So for instance we have seen a shift away from our very institutional bathrooms now to something that’s very domestic. We are trialling as a result of this innovation, our walk in bath at Chamberlain Court in Tunbridge Wells. There was a bit of concern that maybe this wasn’t the right type of use for a care home, but where we have a choice of bathrooms on one floor if it doesn’t work, it doesn’t work. My thinking around that was when someone takes me to the bathroom to have a bath, how am I going to feel by being undressed, put into a hoist, being lifted into a hoist, and placed in a bath full of water – and If I was faced with that choice I probably wouldn’t want to have a bath. Where do you get your inspiration from when developing and designing a new home? I get my inspiration from loads of different things, there’s never an off switch! So if I go on holiday if I go to hotels, to restaurants, magazines, materials, trade shows, competitors, going into homes and seeing things that don’t work to make sure that we don’t replicate that in our environments. I also try and get feedback from our care team. A year after we have built a home I go back and speak to the team to find out what works and what doesn’t work. During this catch up, I try and speak to as many people as possible including residents and their families. 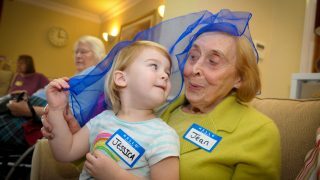 What have been your biggest learnings in the development of care homes? My biggest learning is to keep an eye on your contractor to make sure they are not financially compromised but to also have a plan B. It’s important to always have an eye on the future. What differentiates Hallmark Care Home developments from other care providers? We factor in a lot of communal space, so non-fee earning areas for the residents. We look at the environment and what’s pleasing within the environment, whilst balancing it with the number of beds. Our spacial standards for our communal space per resident is between 6 – 6.5 square metres per resident and that’s excluding café, hair and therapy room areas so this is just the lounges and dining rooms. This being said, the gaps are closing up now in care home design and people are seeing the benefits of spending more money on their environments and buildings and it’s pleasing to see others raising the bar. I think we as an industry are all asking the same question, what we can do that differentiates us from everyone else? 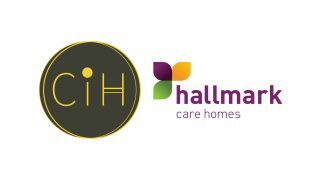 Hallmark Care Homes has won the Pinders Healthcare Design Awards from 2010-2015 – what drives your innovation? It’s a really good experience and morale boost for the team. We spend about to two to three years with any one home as a project and to actually finish that project and be used as an example of excellence is such a buzz not just for me, but for the whole team, for our architects, builders, and all our design teams that have been involved as well. It is the final cherry on the cake for us, for all of our hard work and effort. What do you think the future holds for the design of Hallmark Care Homes? Land acquisition is becoming increasingly hard. It is difficult to find land, and especially land where we can spread our care facilities out across a large area. I see the next generation of care homes being more high-rise, so we have seen one coming through in Battersea and I think with the need for land being allocated for housing, we need to make best use of our space and that best use of space I think would involve going up as opposed to going out. This brings its own challenges in how to bring in excellent indoor community spaces, whilst achieving outdoor space for the residents too. So we could see suspended terraces, we could see more roof gardens and we could see innovation in architectural style to deliver outdoor spaces at different heights. The winners of the 2017 awards will be announced on Wednesday 15th March.